18 months ago we moved to Thailand to join the team of For Freedom International. FFI helps to undertake Gospel-Centered justice and compassion work amongst women who have been sexually exploited. We have been tasked with starting a social foundation in Thailand and establishing a vocational training salon for sexually exploited women getting out of prostitution. We love our new home and we are excited about how God is working in Phuket, and He’s done so much! During our time here FFI has started the country’s third child advocacy center, sent exploited international women back to their home countries and people are encountering Jesus for the first time. We’ve started partnerships with local police and hired local staff; our team is growing! 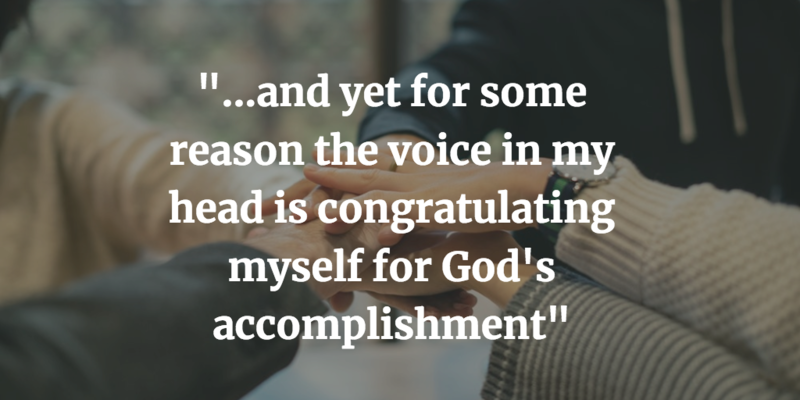 As I’m writing this, we just signed a two year lease on what will be our new vocational training center – God has been so faithful… and yet for some reason the voice in my head is congratulating myself for God’s accomplishment. So let me confess my pride and share about my success syndrome. Don’t get us wrong, we want to start a thriving organization. To help and empower thousands of women. We want to help be part of the eradication of sexual exploitation in Phuket and see revival on this island like on the day of Pentecost. Let me be clear, I don’t think this is a bad thing, but, Oswald Chambers argues, “Worldliness is not the trap that most endangers us as Christian workers; nor is it sin. The trap we fall into is extravagantly desiring spiritual success” more than God’s will. The hard truth is that God doesn’t need me to do anything for His ministry. He has invited us, but he does not need us to accomplish things for Him. Quoting Micah 6:8 “He has told you, O man, what is good; and what does the Lord require of you but to do justice, and to love kindness, and to walk humbly with your God?” The first two don’t matter unless we are obediently and humbly walking along side our all-knowing Creator. We have a lot to learn, and even though we will never be perfect enough for Him, we are doing our best to answer His calling on our lives. Remember, the global church is a group of sinners, led by sinning pastors and leaders, to tell other sinners about a Perfect God who loves them. Maybe you’re in ministry, or telling your friends about Jesus, or serving in church; let’s remember we are all susceptible to sin and have no power to bring glory to God’s kingdom without His power working through us. Also remember that we are in this together. We are the church, and I hope this message will help you catch yourself before sin does. May we all learn to love God and serve well, all the while trying to live out Paul’s words, “I consider my life worth nothing to me, if only I may finish the race and complete the task the Lord Jesus has given me – the task of testifying to the gospel of God’s grace” (Acts 20:24). Paul and Allisan serves as team members of FFI.